wine list, interesting selection of wines available by the glass and also their half bottle options. The combination of these with a rare cellar list earned the title for the restaurant. score. 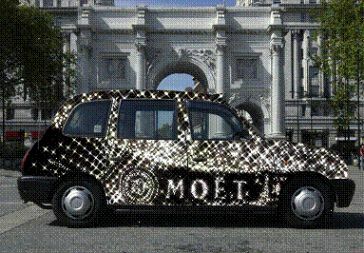 Anyone buying a limited edition Moët & Chandon crystallised Methuselah (equivalent of 8 bottles) from Harrods or Selfridges in London will get personal use of the cab for the night. 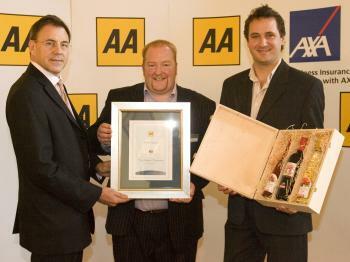 Leading Engllish wine producer Chapel Down, based at Tenterden in Kent, has been rewarded for its outstanding tourism facilities in the Tourism Awards 2006 for the South East. 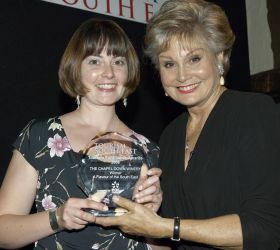 The estate won the ‘ Flavour of the South East’ category, an accolade that recognises the importance of local produce to the tourism industry in the region. Judges praised many aspects of Chapel Down Winery’s operation, customer service and innovation, saying: “From the very first impressions on arrival through the tour itself this was a high quality experience. Even the most discerning of customers would find something irresistible in the shop and virtually everything was locally sourced.”Chapel Down was also praised for its innovative marketing ideas and the quality of its brand. A recent study at Palermo University has estimated the cost of producing one bottle of red wine is 0.5kgs of waste and 16gms of sulphur dioxide into the air.Preston-based wine merchant Sullyvin has picked up on the study and thrown down a challenge: “Have you ever thought of the environmental costs of your bottle of wine?What is the ‘Ecost’ of bringing wines to the UK from the Southern hemisphere, and should we stick to natural cork stoppers, rather than man made plastics or screw tops which have a more detrimental effect on the environment? 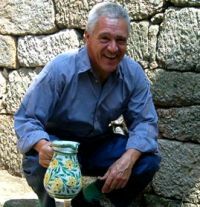 Should we persuade winegrowers to use only organic methods of production?”Let Sullyvin have your views by emailing them at sullyvin.com and a presentation box of French wines will be awarded to the best letter received by the end of November. Running from November 10 – 12 at London’s Olympia, this year’s version of the Capital’s biggest food and drink event includes celebrity chefs such as Gordon Ramsay, Antony Worrall Thompson and Jean-Christophe Novelli, but plenty for the wine lover too. Oddbins have a sizeable stand (D46) and Vinbiz, a European wine tasting and specialist importer, will be hosting what they are billing as “The People’s Choice Wine Competition.” Their customers have selected five favourite wines on their list to compete against each other to discover which is the People’s Choice Wine of 2006. Show-goers are invited to taste all five wines and select their winner, and as Vinbiz have teamed up with DropStop, each participant will also receive a DropStop. All of the supporters of the winning wine will be entered into a prize draw. Phone the BBC Good Food show ticket hotline on 0870 161 2148.